Chicago, IL—I have a lot of friends that consider themselves political moderates or even Liberal. When they saw the wide smile of America’s first Black presidential candidate they somehow fell in love. After suffering eight years with a horrible president, George Bush many of my friends gambled on this unknown African-American, Barack Obama who they figured could never be worse than Bush. They all simply wanted change particularly with respect to Bush’s ill-advised wars. Bush wore the Republican label and his detractors called him a Right Wing Conservative. Bush was mislabeled as a Conservative when he was nothing of the kind. His rhetoric seemed Conservative but that was always just talk. His actions were Liberal and Leftist. He was also not very smart. Bush got us needlessly into two wars that really served no purpose for America. Attacking Iraq was really dumb. Had Bush stayed clear, Iraq and Iran would have made war on each other by now reducing the threat of Islamic thugs from both nations. They may have killed millions on both sides. Instead we made both enemy nations stronger than ever. Too many of our youngsters came home in rubber bags as a result of Bush’s adventures. Nobody in their right minds wanted us to continue in the Middle East deadly mess. Americans were tired of war and wanted to end them and Obama seemed to show signs of ending the conflicts. Nearly six years later hindsight tells us Obama made even more war than even George Bush! The Liberal Bush hating media however refused to expose Obama’s missteps no matter how outrageous. Before his election as president I knew a lot about Obama because of my extensive inside knowledge of Chicago and its massive political corruption. The history of the former lawyers Barack and Michelle Obama was incredibly ugly. The circle of Obama’s friends well were known by me as criminals, Communists and hate filled Blacks like their friends Valerie Jarrett and Eric Holder. The Obamas were both very much tied to the politically connected Communist faction in their Hyde Park neighborhood. Obama was set to recreate America into a new Communist political model. His entire political effort was High Treason against the American people and the Constitution he swore to protect and defend. Three men that exposed massive lies and revealed interesting things about political corruption and technology enabled extensive spying on ordinary Americans and our Allies like Germany. Julian Assanage, Bradley Manning and Edward Snowden. They all risked their very lives to reveal the unthinkable. We must be aware that none of these men made a single dime selling their information to enemy nations! They all did this simply because it was the right thing to do! The media turned these heroes into traitors when in fact they were trying to warn us all of unbridled, unprecedented and unparalleled government tyranny. When a few government officials have the power of complete intelligence of the private lives of members of every branch of government they are empowered to blackmail anyone they wish. There can be no question that Obama and his minions were able to blackmail and compromise Conservative Supreme Court Justice John Roberts. That gave them the one needed vote to save their otherwise doomed Socialist Obamacare American disaster. The German people understood well what a horrible president Bush was and gambled on Obama as a new America Messiah. They opened their arms and hearts to this stranger they once trusted. Incredibly, Obama was awarded a Nobel Peace Prize without a single accomplishment other than getting elected president! Wow, he must be wonderful everyone thought! Chancellor Angela Merkel learned about Assanage, Manning and Snowden’s troubling revelations. She blindly assumed that Manning and Snowden were traitors that compromised the security of the free world. Ms. Merkel would later learn she was misled by the American government. 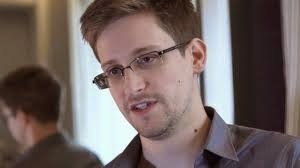 Edward Snowden desperately needed asylum and was turned down by Germany. Instead he could only find refuge with our former enemy Russia. 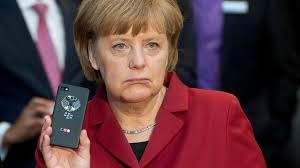 However Merkel soon learned that her personal cell-phone was hacked by the NSA-FBI’s “Stingray” computer snooping program! Now Germany has expelled to Americans for spying on them! This has damaged a sacred trust between to nations that needed each other. Obama has managed to divide and conquer two strong allies! Edward Snowden’s period of asylum in Russia is set to expire. Snowden deserves solid protection from Germany. He did not get it before because Merkel and her government thought that it would damage German/American relations. She should rethink that decision and open Germany’s arms to Snowden. Frankly, Germany is the best place for Snowden at least until a new American President can pardon Bradley Manning and Edward Snowden. As an American I’m deeply ashamed of the Obama Administration and my citizenship as a result. I may be seeking asylum myself in Germany if there the continuation of Obama’s criminal conduct. Every German certainly did not support Adolf Hitler, accordingly this American does not support Barack Obama! I hope my Liberal and German friends understand exactly why I detest and denounce Obama. Two Words, "Global Economy". Our beloved country's downfall.. I fully agree with your analysis of this dangerous,insidious, racist administration. I studied Obama before he became president. Working for the City of Chicago gave me insights that many people are unaware of. I knew Obama would be bad news. People were memorized by Hope and Change, now they have a country unraveling before their eyes.